Immerse in a traditional art and learn the ancient techniques of this ephemera art. 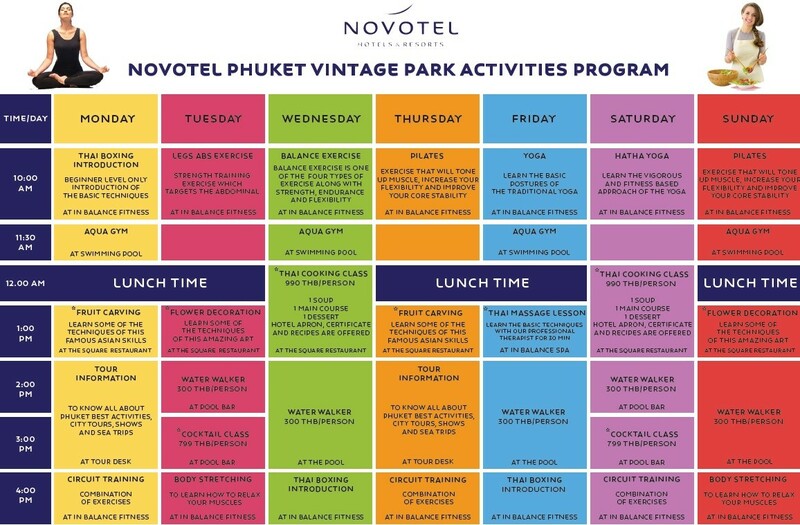 Surprise you friends or guest when you will show the new skills you bring back from your vacation at Novotel Phuket Vintage Park. Thai fruit carving is a traditional Thai art that requires neatness, precision, meditation, and personal ability. Fruit carving persisted in Thailand as a respected art for centuries. Originally used only to decorate the tables of the royal family. Fruit carving is a popular custom practiced during Songkran. Carving fruits and vegetables was a skill taught to women in the Thai royal palace. One (now known to be apocryphal) legend holds that sometime before the Sukhothai era (Thai era from 1808-1824), a concubine named either Nang Nopphamat or Thao Srichulalak wrote a book entitled Tamrap Thao Srichulaluk . The book discusses traditional Thai ceremonies, including the floating lantern festival called Phraratchaphithi Chongpriang Nai Wanphen Duean Sipsong. Its protagonist wants to decorate a lantern more beautifully than other concubines, so she uses many kinds of flowers to decorate her lantern. Then she carved fruits into bird and swan shapes and placed them on the flower petals.